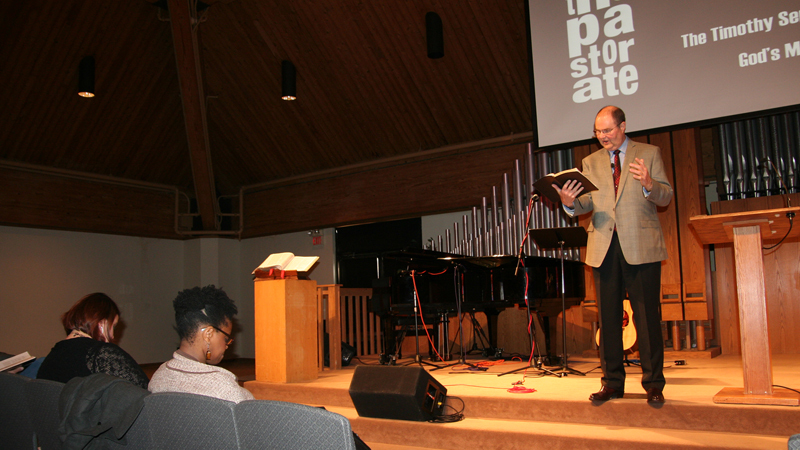 The Henry Center was pleased to host Pastor Steve Mathewson for the second of his two Timothy Series lectures. He preached a sermon on Revelation 22:1-5 that demonstrated his rich biblical literacy, evident theological competence, and careful pastoral awareness. Preaching a sermon on Revelation outside of a series, topical or thematic, Mathewson gave members of the Trinity community in attendance a fine display of what it means to situate the particular contents of Scripture within broader theological understanding. This was effective because he took the time to first “exegete” his audience. This sermon demonstrated an examplary ability on Pastor Mathewson’s part to understand not only literary, but also biblical and theological context in such a way that he is prepared to effectively relate the Word to the church and to the world. We have all witnessed in life beauty that provides an abundance of joy, but amidst that joy we often find ourselves longing for more. C.S. Lewis describes this as the “inconsolable desire,” which haunts us in our experience of joy as if to signal a great, more fulfilling beauty elsewhere to be discovered. Revelation 22:1-5 reveals the the object of this desire such that our greatest longing is to live in the city of God, the new heavens and the new earth wherein we are restored to life in the presence of God. It is to this reality we must refer when experiencing trials that tempt despair or upon experiencing beauty in this life, which wanes in the shadow of a life to come, a life illumined by the unrestricted presence of God. 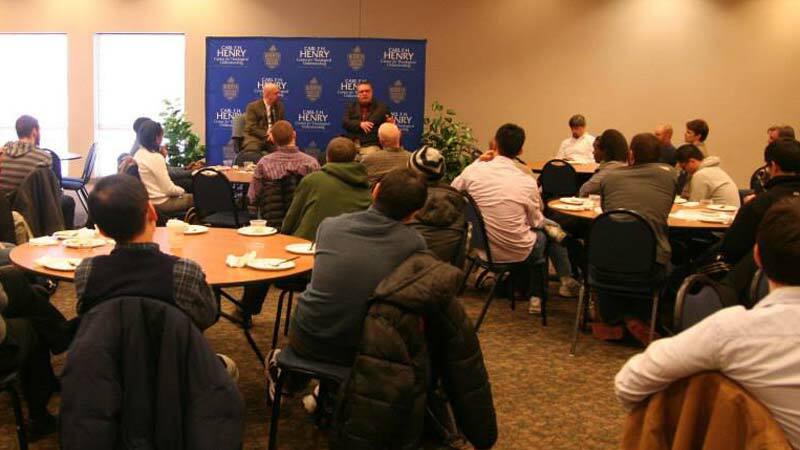 After the chapel service, Steve joined a hungry group of Trinity students, staff, and faculty, again sharing a meal with fellowship and fun, followed by a time of Q & A. Pastor Mathewson fielded questions, which generated substantive contributions mainly in the areas of transitioning from seminary to the ministry and again what it looks like to prepare such dynamic, faithful sermons on a weekly basis. He was very realistic and practical in his suggestions for seminary students looking forward at the ministry, a sentiment that was visibly appreciated among students in attendance. Mathewson was also kind enough to paint a vivid picture of his own practices relating to the basic tenets of pastoral life. 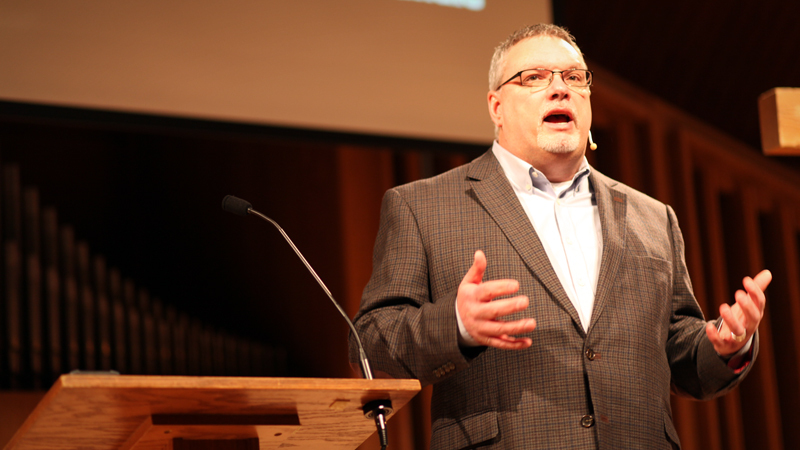 Overall, the Trinity community was blessed to share time this week with Pastor Steve Mathewson, a man of God committed to serving God’s kingdom faithfully in the local church setting. 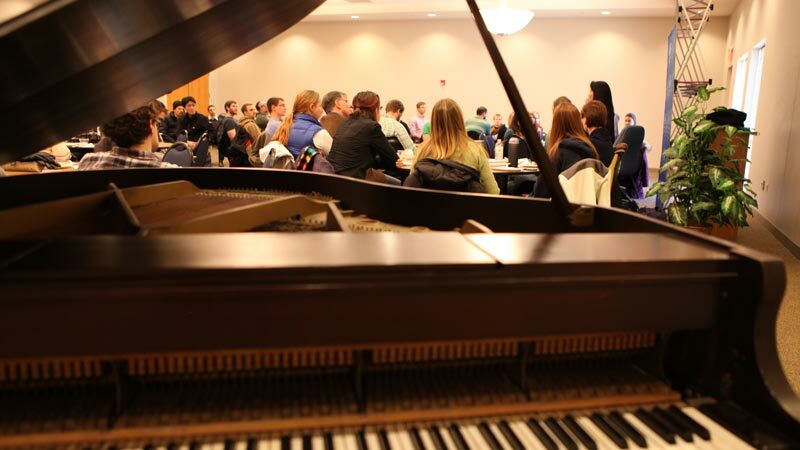 For more exciting news from the Henry Center, look out for upcoming events, especially the next Timothy Series event featuring Isaac Smith, an experienced rural and bi-vocational Wesleyan pastor on March 18 & 20.